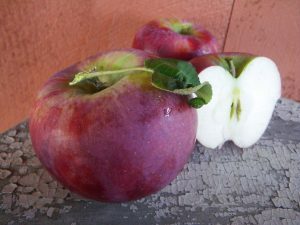 The apple favored by church ladies and other in-the-know pie bakers everywhere, the Cortland’s crisp, white, sweet-tart flesh makes it perfect for baking, tossing on a salad, or just munching. Available in farmstand only, while supplies last. Pro tip: Now is the time to start asking us for “seconds” of Cortland (and other varieties).